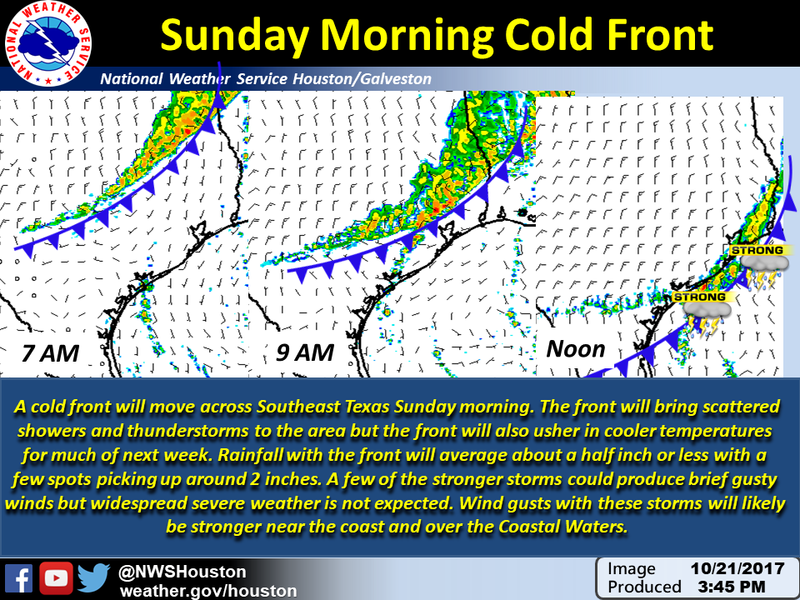 Spring, Texas – October 21st, 2017: According to the National Weather Service, a cold front will move across Southeast Texas Sunday morning. The front will bring scattered showers and thunderstorms to the area but the front will also usher in cooler temperatures for much of next week. Rainfall with the front will average about a half inch or less with a few spots picking up around 2 inches of rainfall. A few of the stronger storms could produce brief gusty winds but widespread severe weather is not expected. Wind gusts with these storms will likely be stronger near the coast and over the Coastal Waters.